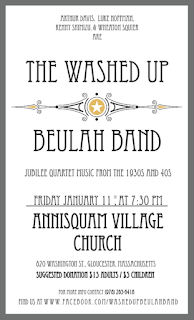 Music at Annisquam Village Church: Happy New Year to our Music Loving Friends! 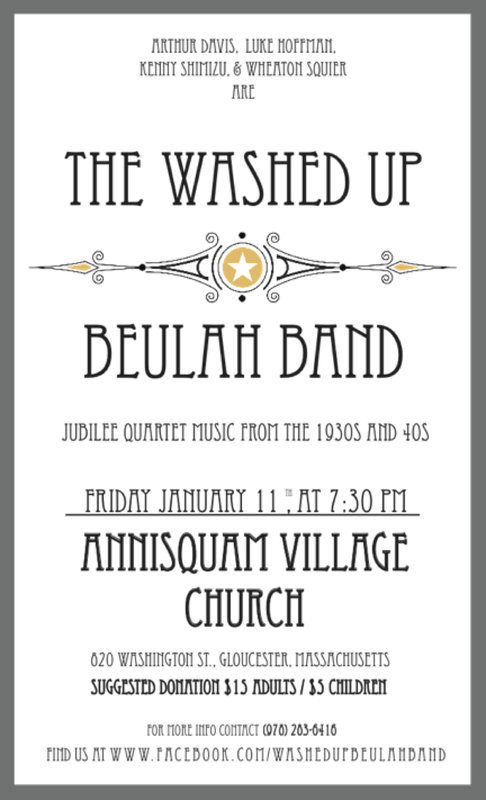 Thaw your January with The Washed Up Beulah Band...an à capella (male) quartet singing old-time jubilee, shaped-note repertoire. These four charming young men will lift your spirits (check them out on YouTube), and make you glad you came.